I’ve been hesitant to start a personal blog for a while. After managing several corporate blogs, I’m a little tapped out of the social media space. However, since I’m in a constant state of answering the same questions repeatedly regarding my hair and food choices, I thought 2015 would be my year to dedicate time to answering those questions in one place. Around the age of 7 or 8 I was given my first relaxer by my aunt and was bound to the “creamy crack” since that time. I never cared for the whole process of getting a relaxer so by the time I was graduating from college in 2009, I made the conscious decision to stop. At this time I hadn’t seen the movie “Good Hair” and had no idea I was going “natural”. I just knew I despised getting relaxers. As I transitioned I was introduced to great blogs like Curly Nikki, Quest for the Perfect Curl, Hey Fran Hey, and Black Girl Long Hair. These blogs educated me and gave me the encouragement to know that there were other women who looked like me going through the same triumphs and tribulations of this natural hair journey. 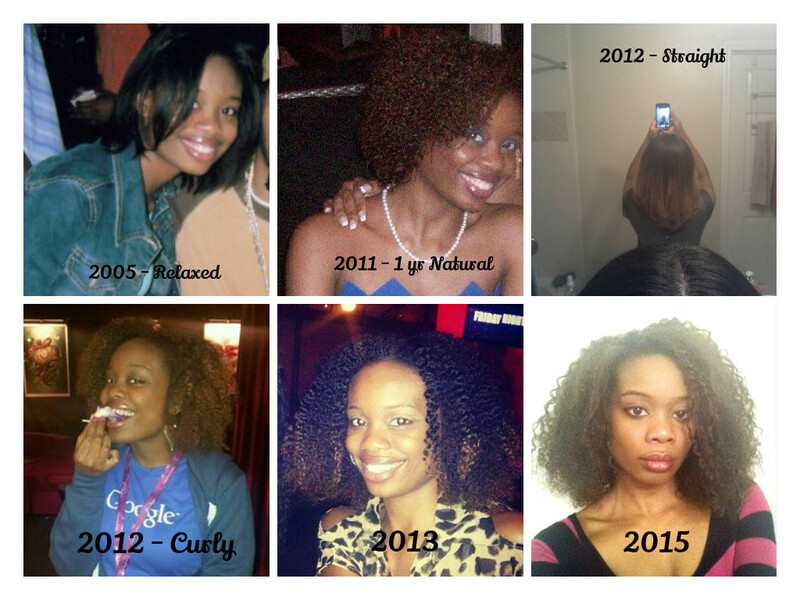 In 2010, I cut off the rest of my relaxed ends and the rest is history. I started going vegan about 6 months prior to starting this blog. I wouldn’t say that I’m a full vegan. I would classify myself as veganish. Vegan for me is not consuming any meat, milk, or eggs. I eat a complete vegan diet in my home and conform to vegetarian eating when I’m out socially. If I wouldn’t go into a church and bust out the windows, why would I consume fast food with questionable ingredients? If I wouldn’t throw paper on the ground in a church, why would I consume things that I’m allergic or sensitive to that would cause my body to have a negative reaction? God has entrusted me with his temple and I want to do my part in taking care of it in every way I know how. Now, I’m not saying you can’t be a good Christian and a carnivore. You definitely can as long as you’re consciously eating and putting in the highest quality ingredients into your body. I’m not here to turn anyone into a vegan, however if you’re already on that journey I plan to provide some great recipes to add to your dinner table. I want to showcase great food free from animal and animal by-products and answer that common question “What do vegans eat?” I also want to provide a forum for educating readers on the food their putting in their bodies, so they can make more conscious food choices. Friends, family, and strangers on the street tend to ask me about tips for growing out and strengthening their natural hair. In social settings I often get asked about my diet choices once I tell someone that I’m vegan. This blog will give me a place to give a better background and more details regarding those subjects. To empower the readers of this blog to be their most authentic selves in a world full of conformity. If you want to rock your curls in a room full of straight hair; eat vegetables in a room full of carnivores, take a shot of water while surrounded by brown liquor, or whatever your soul fancies – I want this to be a place to come where you can get encouragement to go with your gut even if that instinct takes you outside of the norm. Posted on January 8, 2015, in About Me and tagged Ashley Blakely, Natural Hair, Natural Hair Journey, Vegan Beginner, Veggie Curls. Bookmark the permalink. Leave a comment.